A gregarious greyhound out to make a difference! 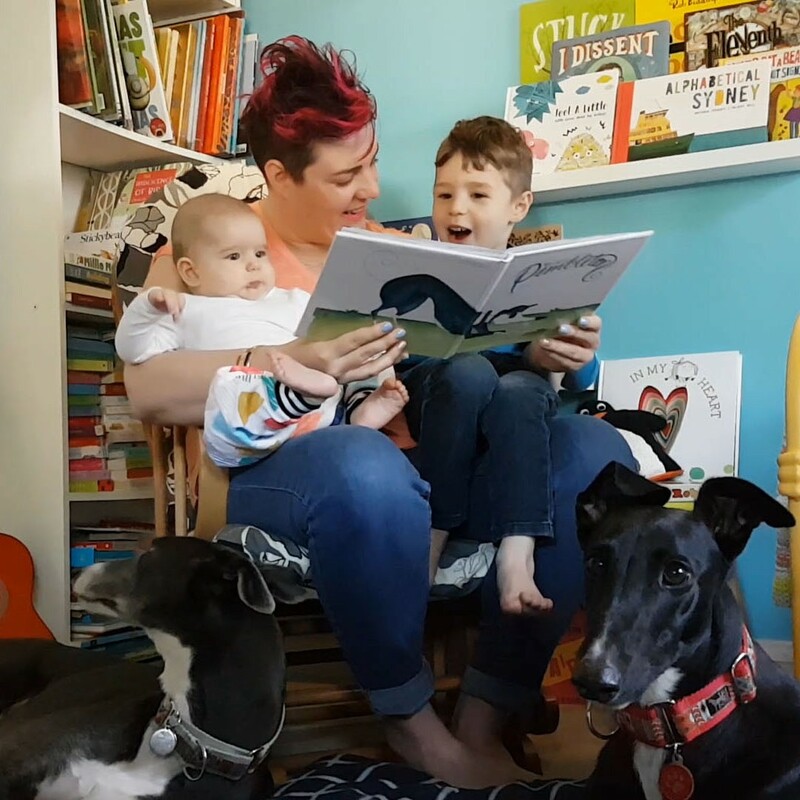 Pointy Pembleton is a gregarious children’s picture book character dreamed up by two animal-loving creatives determined to make a difference to greyhounds in need. You can order Pointy’s picture book, and follow along on Facebook and Instagram to keep up with his progress and get sneak peeks behind the scenes! You can help Pointy Pembleton to change the lives of greyhounds everywhere. By ordering Pointy Pembleton Visits the Dog Park, you will help Pointy’s tale of friendship and diversity reach families everywhere, while at the same time raise desperately needed funds for rescue dogs. Get friendly and follow Pointy Pembleton on Facebook and Instagram to get the latest on what is going on in his world! You’ll see sneak peeks of what’s coming next in Pointy’s adventure. Pointy Pembleton is a fun-loving picture book character whose friendly nature and goofy good times teach kids all about diversity, and how to be accepting of others. Pointy Pembleton was inspired by real-life rescue greyhound Zac, or “Zacarella Pembleton” to his friends. Sadly, Zac passed away at the age of thirteen and a half in late 2016, but his legacy lives on in the pages of Pointy’s book. So why do greyhounds need our help? Greyhounds are hard done by. They are bred to be used by the racing industry, and when they aren’t fast enough or they can no longer win races, they’re discarded. Most will be killed. This is the sad reality of the racing industry in Australia, and until things change there will be far more greyhounds needing homes than there are adoptive families. This “wastage” will continue. Greyhound Rescue is one of many fabulous organisations in Australia working to rescue, rehabilitate, and rehome these gorgeous dogs. Most retired greyhounds will make excellent family pets with a bit of love and care, and the comforts of home that they have never known. Get your copy of "Pointy Pembleton Visits the Dog Park"! Pointy Pembleton is a gregarious greyhound character dreamed up by two Sydney creatives who want to make a difference. This lovable character is based on a real-life rescue greyhound named Zac. Pointy Pembleton’s story will come to life through the pages of his book, and a portion of the proceeds will go to help other dogs just like Zac who are still looking for their forever homes. Pointy Pembleton Visits the Dog Park is available to purchase online! Buying the book will help to raise funds and awareness for greyhound in need. Follow us on our social media channels to keep up to date with the latest developments. Pointy Pembleton’s first book was written by Nat Panzarino. 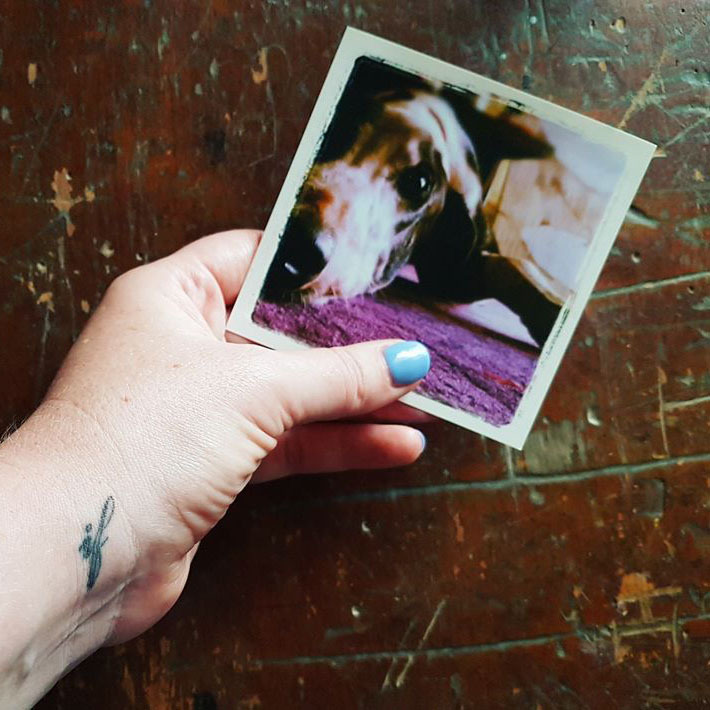 Nat is an English and Visual Arts teacher, and mother to two kids and two greyhounds. She volunteers with Greyhound Rescue and has adopted several greyhounds, the first of which was Zac, the inspiration behind Pointy Pembleton. Pointy Pembleton is brought to life and illustrated by Fer Wicker. 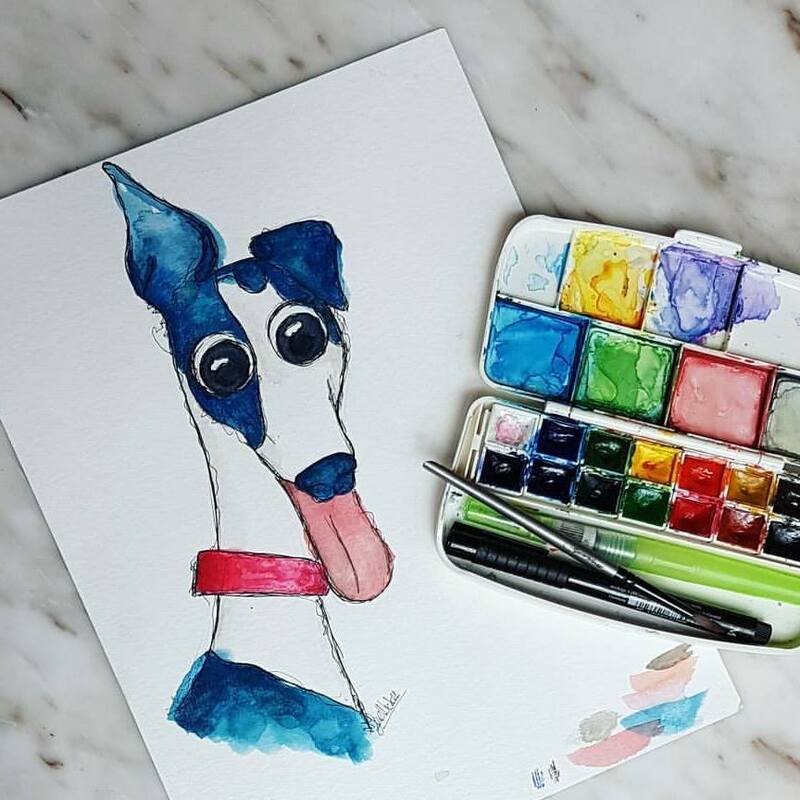 Fer is a graphic designer and artist who also volunteers for Greyhound Rescue. Fer has rescued greyhounds herself and is passionate about animal welfare and rescue. How does this help greyhounds in need? Five dollars from the sale of every Pointy Pembleton book is donated to directly help greyhounds in need of homes, so not only does Pointy Pembleton teach kids about diversity, but also provides for rescue hounds! Order your copy here. You can find our press release and images for media purposes here. Feel free to send us an email (hello@pointypembleton.com) if you require any further information.